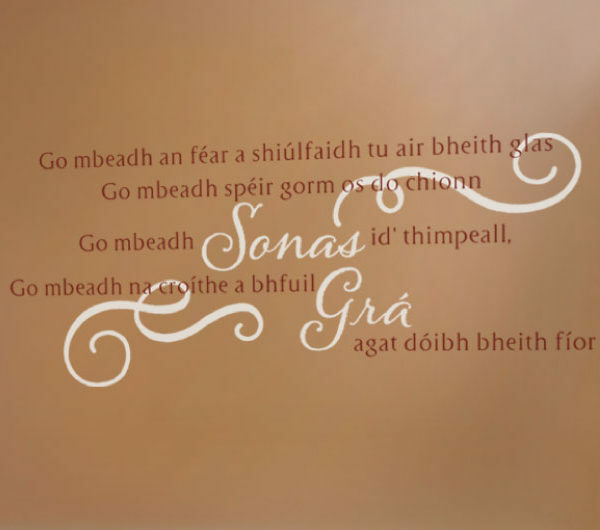 Are you looking to decorate your home with Irish-Gaelic wall words? Read on! At WiseDecor, we have wall letters available in foreign languages. 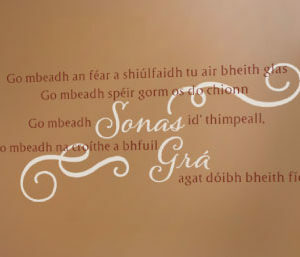 Our ‘Irish Gaelic to English Translation: May green be the grass you walk on May blue be the skies above you, May pure be the joys that surround you, May true be the hearts that love you’ are an example of what we have. 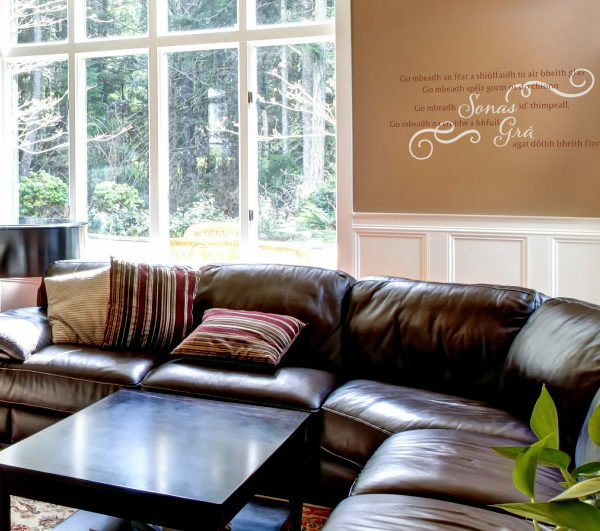 They look great in this family room above the sectional couch. They hold their own against the brick wall, fireplace and the television. They are a wonderful focal point and they tie in with the furniture in the room. They add texture, style and take the decor a notch higher! 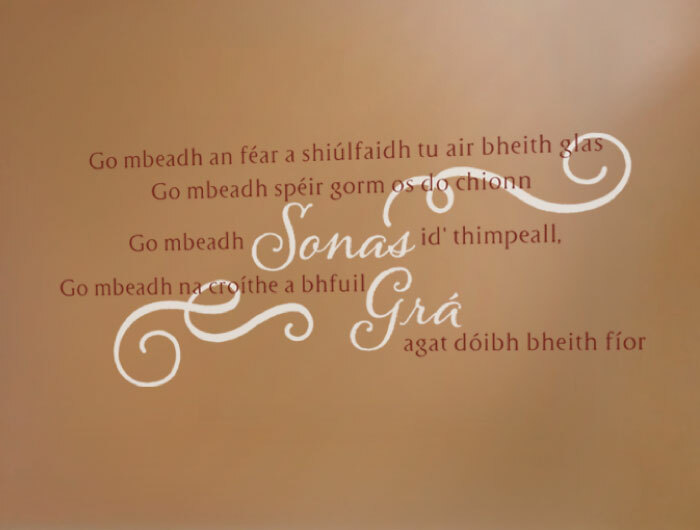 WiseDecor wall quotes are suitable for all the rooms in your home! They are available in different colors, style and size. You will find something to suit your decor theme. You may also submit a quote that you would want to use but we do not have. 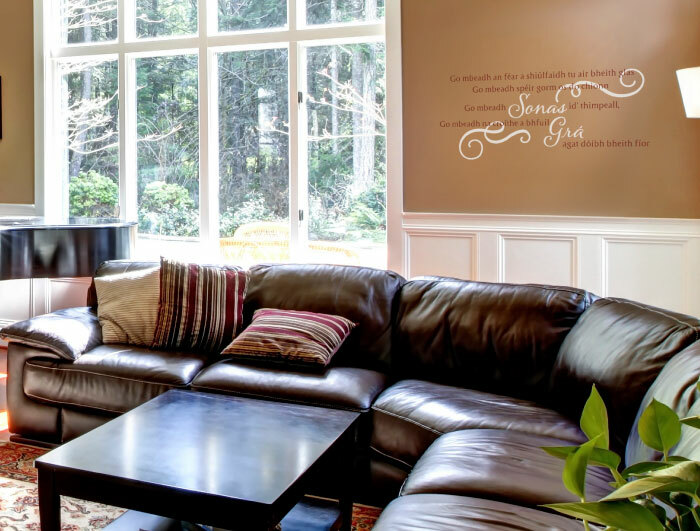 Our designers will work with them: you will end up with quality wall decals! Application is easy so do get in touch.